Spring skiing was great but a stretch of very warm days has made trails soft. See snow remaining here: SNOW Cameras. Trails are not open to mountain biking, they must dry out first. In summer and fall Swedetown Recreation Area has more than 25 miles of purpose-built single track mountain bike trails with maps and trail markers. Besides mountain biking, this trail system is enjoyed for nature hikes, dog walking and trail running. 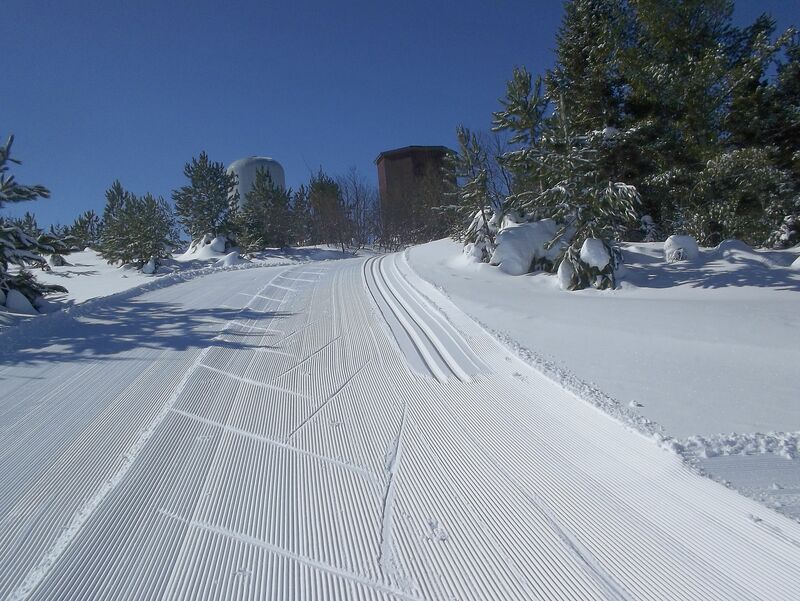 For winter recreation there are 35K of groomed ski trails. There are 5K of trails with trail lights on until 9 p.m. seven days a week. 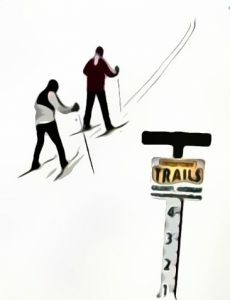 There are also back country loops – stride through the woods making your own tracks. The main trailhead is on Osceola Road in Calumet, look for the big welcome sign. You will find Swedetown Chalet here, open during mountain bike season with restrooms and drinking water. There is also a trail head on M-203, watch for big sign near Cloverland Road.